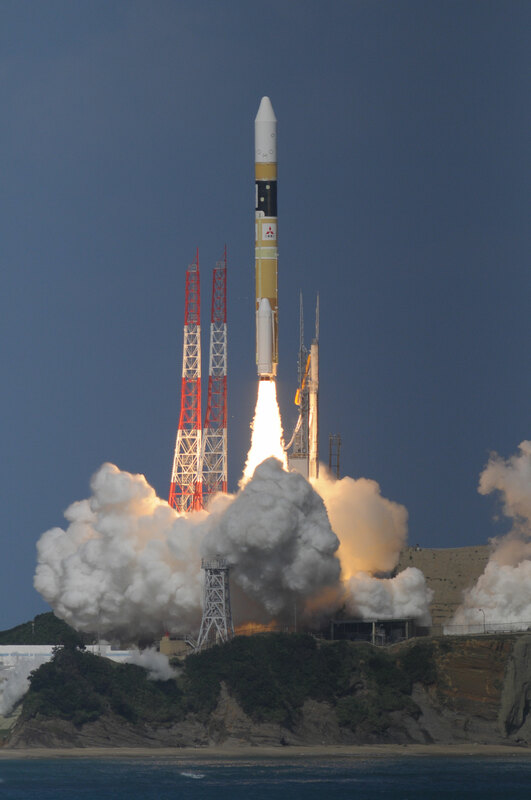 Mitsubishi Heavy Industries, Ltd. and the Japan Aerospace Exploration Agency (JAXA) launched the H-IIA Launch Vehicle No. 25 (H-IIA F25) with the Geostationary Meteorological Satellite “Himawari-8” onboard at 2:16:00 p.m. on October 7, 2014 (Japan Standard Time, JST) from the Tanegashima Space Center. The launch vehicle flew as planned, and, at about 27 minutes and 57 seconds after liftoff, the separation of the Himawari-8 was confirmed.